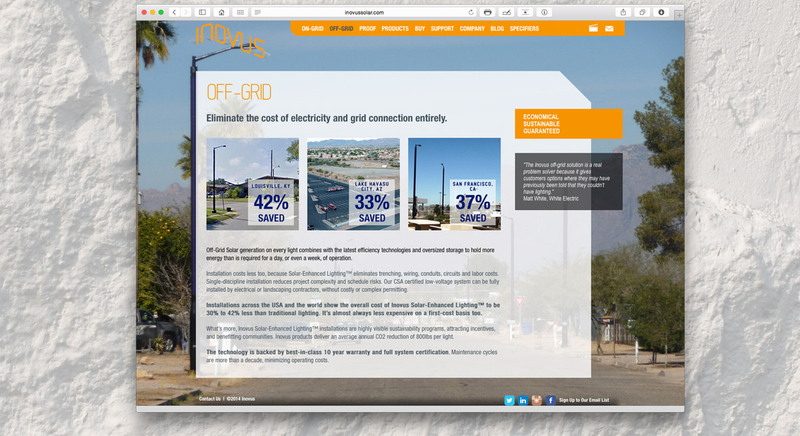 Inovus is revolutionising outdoor lighting, eliminating the cost of grid connection and the cost of electricity, for good. 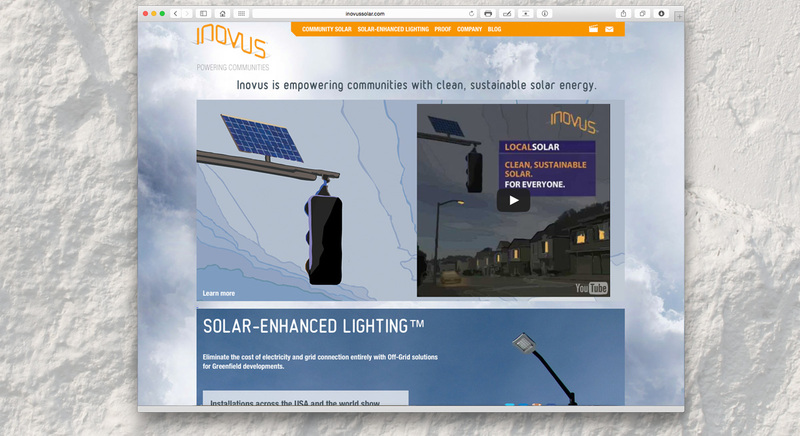 Inovus Solar-Enhanced Lighting™ is proven at more than 140 customer sites, across six continents and a wide range of applications. 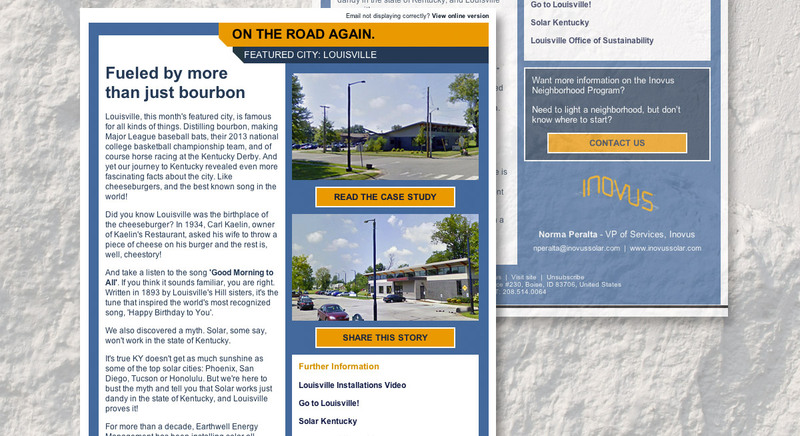 Inovus had a visually consistent presense, but their messages were unclear, and had little tie to the priorities set out in their messaging framework. In addition, primary messages were not echoed as themes or explained effectively and there was little evident proof of success and ROI across the site. Page Nine proposed new home page messaging, revised second-tier copy, and a plan to bring the site in line with the messaging framework, stressing the messages that matter most. We added an explainer video to promote the latest marketing message. 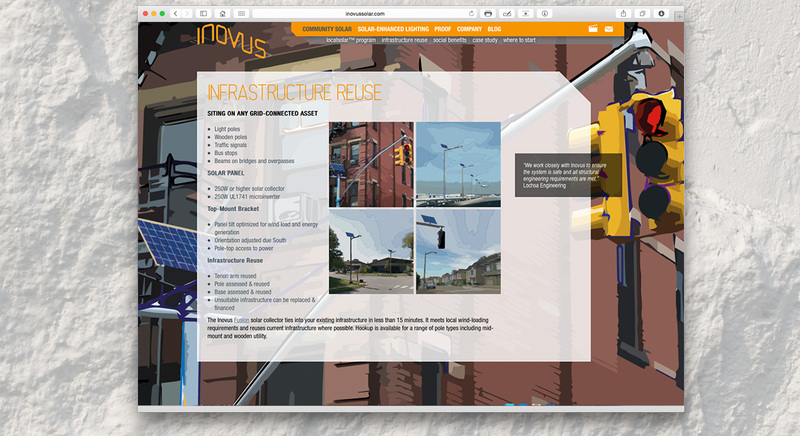 ￼We planned a full site revision, addressing verbal and visual elements, and site structure for optimal UX. We wrote new copy, implemented it throughout and updated the company’s presence to match. We suggested ongoing marketing activity consisting of regular Case Study focused email marketing campaigns which have proved very successful in raising the company’s profile.